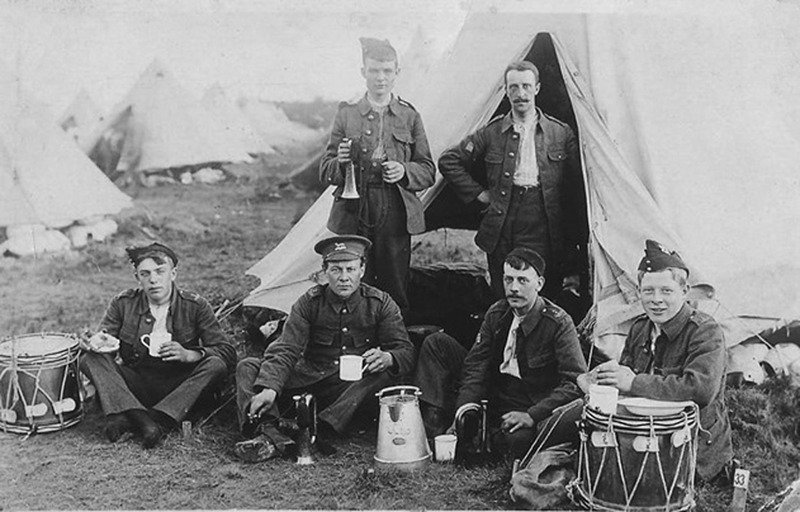 This fascinating photograph comes from Janet Banks and shows six Oakham Territorials at a pre war training camp, possibly taken in 1908 although we don’t know where. Four of the young men pictured would die during the war. The photograph belonged to Janet’s grandfather, William Peasgood, who is pictured bottom right. William went on to serve in the Lincolnshire Regiment and survived the war. The others, starting from the back row, are: George Edward Taylor, known as “Mushi” who died just ten days before the end of the war. Next to him is Harold Skinner, who died in August 1917. On the front row is Albert Beaver who later joined the Royal Navy and died from fever in October 1915. He was Janet’s great grandmother’s nephew. Second along is George Beaver who would survive. And third along is George Dexter who died in the German Spring Offensive in 1918.